The other day I realized that it is almost June. As in J.U.N.E. The month before July. The one that signals it is the middle of the year, summer is here and autumn is fast behind it. It means beach days, shorts and sandals and lots of sunshine- and it also means- graduation and summer dinner parties are on the calendar and quickly approaching. Summer is one of my favorite times to entertain because I can move the party out of the house and up to the patio. 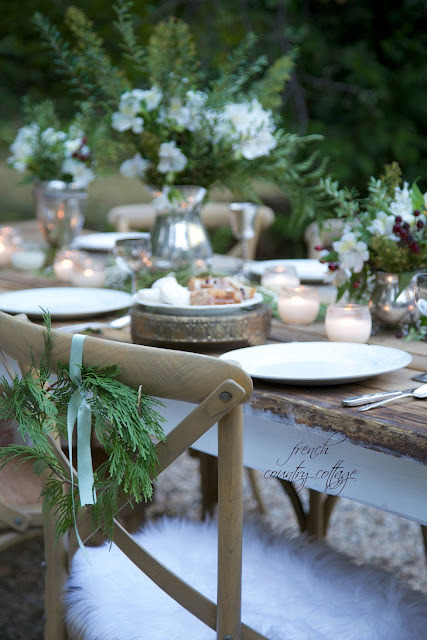 Using the abundance of nature all around you when entertaining is a huge bonus and a huge amount of ambiance. But it also requires a few extra steps to think about ahead of time to make sure your guests are comfortable and the party is enjoyable for all. 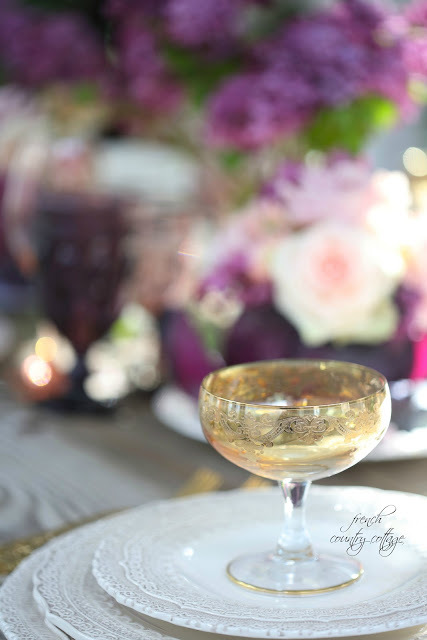 Sharing a few tips today for an evening out under the stars with friends and family (and a few of my favorite tablesettings!) 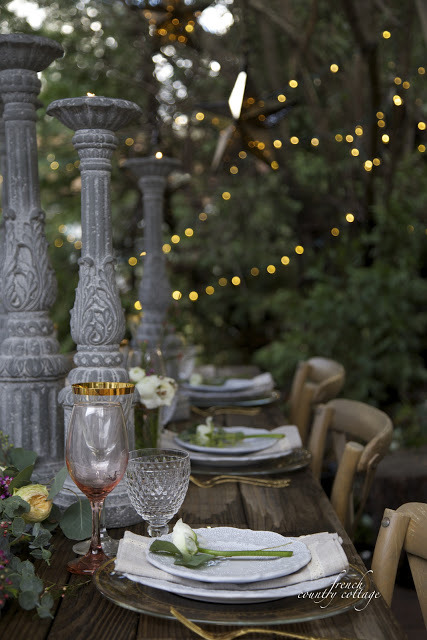 and will delve into daytime outdoor entertaining in a separate post. 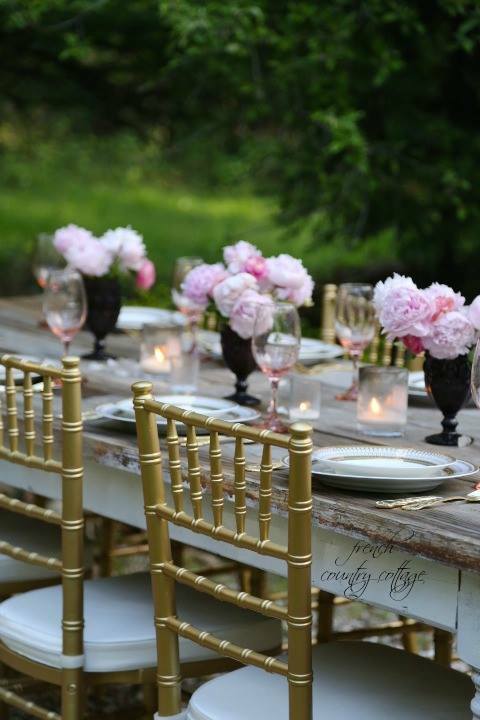 Outdoor dining brings quite an abundance of charm to your dinner party- and it also brings a few things you need to consider in order to keep your guests comfortable. If it is an evening party- you likely have bugs to contend with. Whether you want to go with something like a bug spray (think natural) or citronella candles- you definitely do not want to go with the thought of just swatting mosquitos all evening long. ;) so plan ahead as best as you can to keep the bugs at bay. As well, with evening parties- there can be a chill in the air. Place a basket of throw blankets nearby for guests to wrap up in if they get cold. 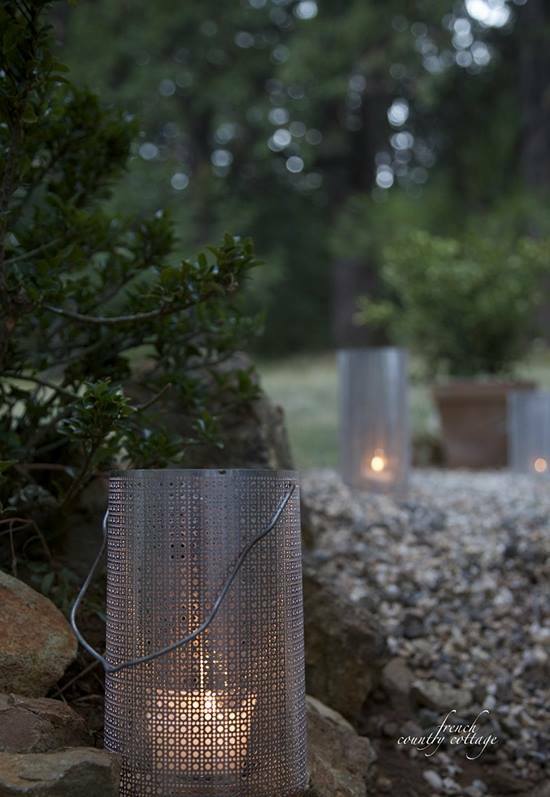 You can also use a patio heater which adds warmth and a little ambiance at the same time. And don't forget the chairs... no one wants to linger around the table while sitting on a hard chair. Cushions are your friends- so use them if you have them. to candles placed around the table on the ground (make sure they are led for safety) to using string lights in branches and trees- all that lighting brings added charm to your party. Use it in abundance and sprinkle a bit of magic on your table. 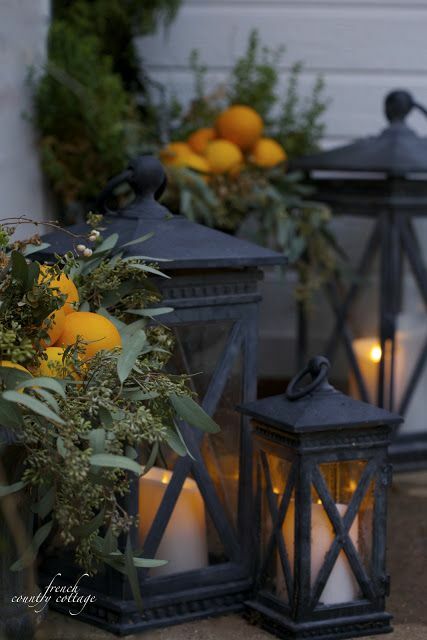 Another thing I love to do is to use lanterns on steps. Guests will probably be going in and out and you definitely want to make sure that any steps or uneven areas are well lit for safety- and also because it just looks super charming. Lanterns with candles (led) and simple patio path markers work great. When your hosting a party outdoors- that is where you want to be. 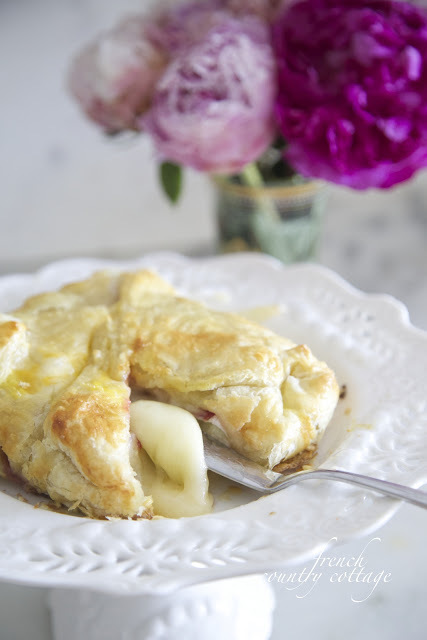 You don't want to be stuck inside, cooking away while your guests are visiting. So probably the biggest tip to make your party more enjoyable for you is to do as much ahead of time as possible and keep it simple. It doesn't have to be complicated and time consuming to be amazing. Order in or make ahead-and don't make something complicated. 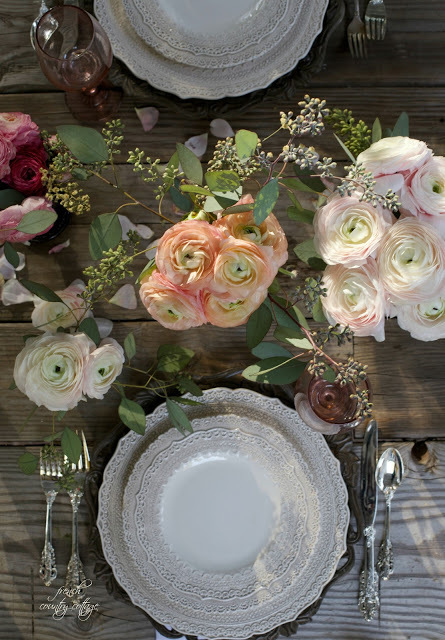 Keep it simple, make ahead and then get out there and mingle with your guests. You can also find a few more tips in a video clip for Wayfair this week- as always, appreciate any thumbs up over there and stay tuned for my own YouTube videos coming your way that I am super excited to share with you. 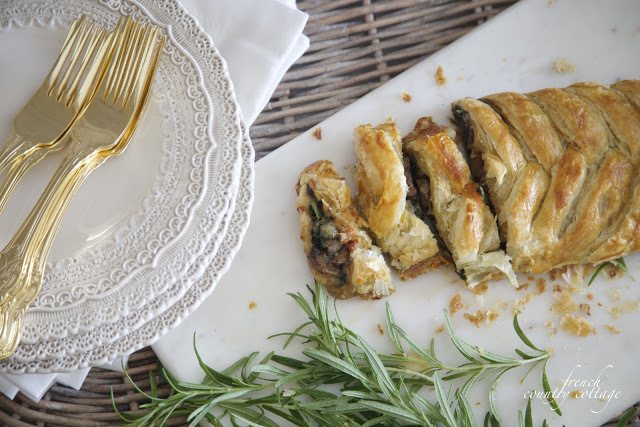 What is your best tip for entertaining and dining al fresco? Have some good trays for carrying things from the house to outdoors. Get a ceramic mosquito coil burner and light it under the table so folks' ankles don't get attacked. If it's really hot and humid, take an oscillating fan outside and plug it in. If you have a pool and plan to have people dip their toes while sipping apertifs, use PLASTIC glasses. Nothing worse than having to empty a big pool because of broken glass. Get net covers for dishes to keep flies and wasps out of the food. Your photos make me long for summer. The weather is still funky here and it seems like summer will never arrive. Tout pour que tout soit parfait !... La vie à l'extérieur est bien celle que je préfère. Cette année, le printemps est un peu capricieux. Il joue beaucoup avec les nuages et les averses ! Your photos are great and the tips are great also.